What does the Bible say about self-feeding? But can self-feeding be biblically supported? Some have questioned this concept. After all Jesus told Peter to “feed my sheep”, not “teach my sheep to feed themselves.” There are several direct references to self-feeding which are decidedly negative (see Ezekiel 34:2, 8, 10 and Jude 1:12 which all refer to shepherds who feed themselves, preying on the flock to enrich themselves). Isn’t the concept of self-feeding just following the individualistic worldview and culture so prevalent in the West? Isn’t the spiritual development of every believer dependent on the Body life of the church (Eph 4:16)? First of all, let’s be clear that self-feeding is in no way undermines the importance of the Body of Christ in spiritual nurture and discipleship. We need the other members of the Body of Christ (1 Cor 12:21). Feeding oneself does not mean that one is ignoring the value of the church and spiritual mentors and teachers. As Wayne Cordeiro convincingly points out, our list of possible mentors is not limited to those who are living where I happen to live. When we read and meditate on the Scriptures, we are confronted with multiple mentors, inspired by the Holy Spirit. The writer of Hebrews says “Abel still speaks, even though he is dead” (Heb 11:4). We are surrounded by a great cloud of witnesses (Heb 12:1), the mentors of our faith whose lives and words are recorded in the Scriptures. We can learn from each one of them. Furthermore, self-feeding does not preclude taking in what other members of the church today are saying to us – but the ministry of these other members of the Body may come in written form (e.g. devotional writings, commentaries, theology) or audio/video recordings (e.g. downloaded sermons, worship music, audio books). You see, when we are talking about self-feeding, we do NOT mean that we are cooking the food ourselves. All we are doing is taking the lids off the various pots on the stove, and making sure the food, already beautifully prepared gets into our mouth on a regular basis. We are not passive, but actively seeking and planning our spiritual intake. Secondly, let’s acknowledge that widespread literacy and the printing press have made self-feeding much more of a possibility for Christians today in comparison with those in the first century. Digital audio and video recording and the Internet have multiplied those possibilities. We are in a very different era than the first-century church that might have had one copy of the Old Testament and one or two letters of Paul available to them. We are not dependent on a few literate people to audibly read the Scriptures to us when we are sitting in the same room as they are. But we still need to carefully examine whether there is any biblical support for the concept of self-feeding, in which a believer takes the initiative to nourish his or her soul outside of what happens in the context of congregational meetings. I believe we can find some good models in Scripture that argue for the importance of individual and personal times of prayer and meditation. Jesus spends extended times of prayer alone with His Heavenly Father, even in the midst of very busy ministry times (Luke 5:15-16). He sends off his disciples to cross the lake, but he stays behind alone on the mountainside to pray (Mark 6:45-47). He leaves his disciples to pray by himself in the Garden of Gethsemane, and asks them to pray for themselves during this time (Matt 26:36-41). Daniel has a regular practice of praying three times a day in his home in Babylon (Dan 6:10). The Psalmist frequently speaks of meditating at night, when he is all alone (Ps 1:2, 63:6, 77:6, 119:148). In many ways, Timothy is an even closer parallel to our missionaries than the examples above. Timothy is asked by the Apostle Paul to stay in Ephesus to help a church struggling with false teaching. While he is there, he is urged to teach the church good doctrine, but he is also told to nourish his own soul. He is probably not going to get much good teaching from the church elders, many of whom he needs to dismiss. Many of our newer missionaries find themselves in a similar situation, not because the church which they are attending is teaching heresy but because the sermons in a foreign language and from a different cultural perspective do not really address their heart needs, even if they could understand them. 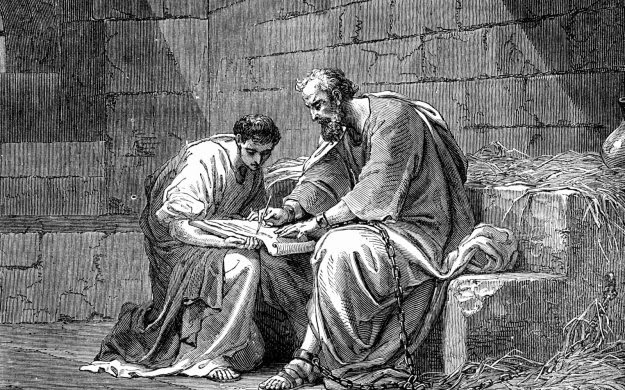 Paul tells Timothy, his missionary in Ephesus, “Train yourself for godliness” (1 Tim 4:7). This is a personal command, directed individually to Timothy, although of course applicable to any believer as well. Later in the letter, Paul tells Timothy to pursue godliness (1 Tim 6:11). Godliness is our personal devotion to God. It is individual, not corporate. By telling Timothy to train for or pursue godliness, Paul is implying that godliness will not develop automatically in the life of a believer or even the life of a pastor/missionary. To grow in godliness requires initiative, it requires discipline, it is goal-oriented. This training for godliness is inseparably connected to an ongoing training and nourishing oneself in the Word. Just prior to telling Timothy to train himself for godliness, Paul says that a good servant of Christ Jesus is “nourished on the words of the faith and of the good teaching that you have followed” (1 Tim 4:6). “Nourished” is in the present tense. As I have said in a previous blog post, Paul expected Timothy to be a lifelong learner of God’s truth. It was not good enough to have gone through Grandma’s Bible School and Paul’s Missionary Internship. Timothy needed to be a lifelong student of the Word. But as for you, continue in what you have learned and have become convinced of, because you know those from whom you learned it, and how from infancy you have known the Holy Scriptures, which are able to make you wise for salvation through faith in Christ Jesus. All Scripture is God-breathed and is useful for teaching, rebuking, correcting and training in righteousness, so that the servant of God may be thoroughly equipped for every good work. (2 Tim. 3:14-17). Note the emphasis on continuing (μένω – present imperative, sometimes translated as “abiding”) in what Timothy had learned in the past, which was grounded in the inspired Scriptures. But note as well the purpose that Paul gives for the Scriptures – “so that the servant of God may be thoroughly equipped for every good work.” The Scriptures do more than provide the content of our teaching and preaching. I believe what Paul is saying to Timothy is that first of all, the Scriptures are intended to teach us, rebuke us, correct us and train us in righteousness. The Scriptures, as we remain in them day after day, will train us and prepare us to do whatever God has called us to do. Only then are we competent to teach, rebuke, correct and train others. What verses from Scripture would you use to teach a believer the importance of regular self-feeding – and not to rely just on being fed by the church? Next post: What does it mean to feed yourself spiritually? Who feeds the missionaries spiritually? What does it mean to feed yourself spiritually?